On the ground floor of the bar/venue Birthdays, red triangles with a mystic eye stare from the glass window. On a closer inspection, the pupil of the eye is a burger. That must only mean one thing: they have burgers on the mind. 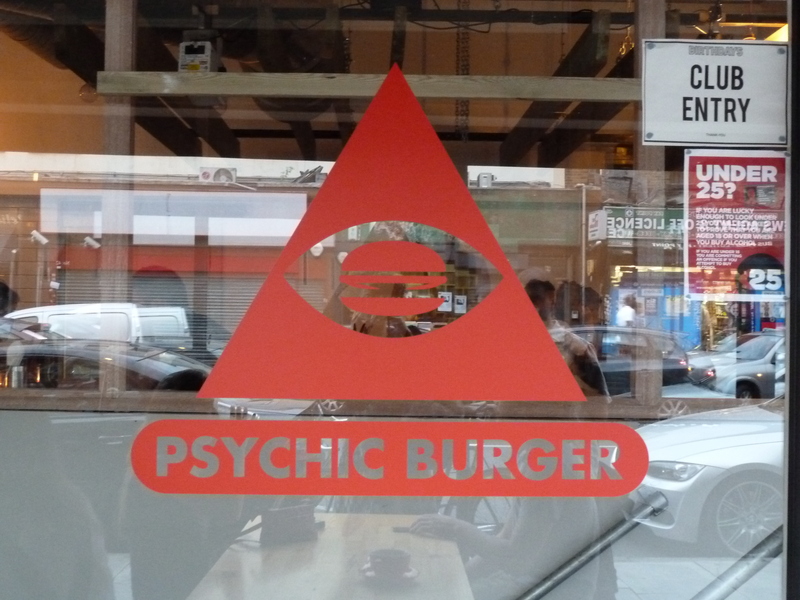 And it’s true that after you’ve visited Psychic Burger, that you’ll also have burgers in your mind’s eye for quite some time. We had a premonition we’d enjoy it because there’s been quite some buzz, especially around a certain item on the menu: the Soft-Shell Crab Burger (£9.50 when we visited, now listed as £11 on the website. Hmm…). This visually striking burger contains two delicious critters deep fried and served with smoked garlic aioli and sweet chilli. I don’t even like crab but I could appreciate this work of art, whereas my crab-loving companion lapsed into silence as he munched his way through it, eyes closed in appreciation. 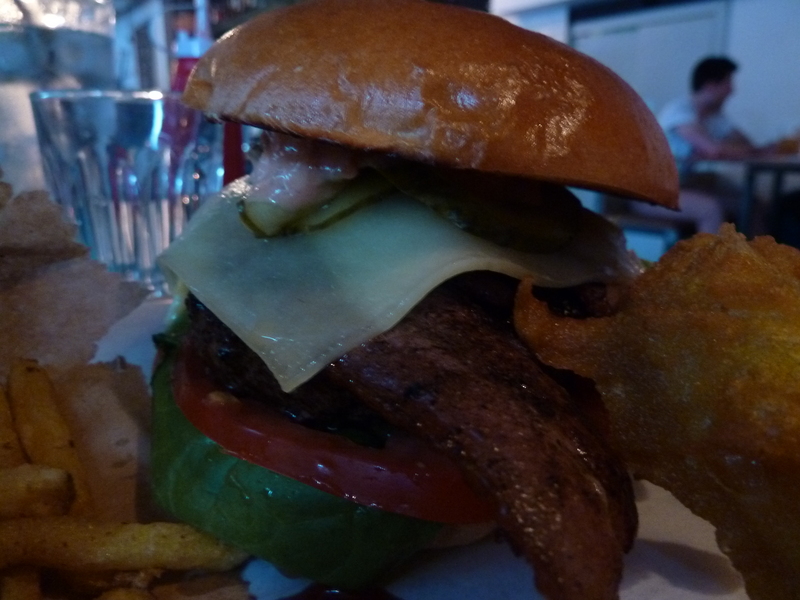 The Psychic Burger (£7.50) boasts an aged fore rib and chuck steak patty in brioche with ‘psychic sauce’, pickles, Monterey Jack cheese, an, for extra £1, bacon. 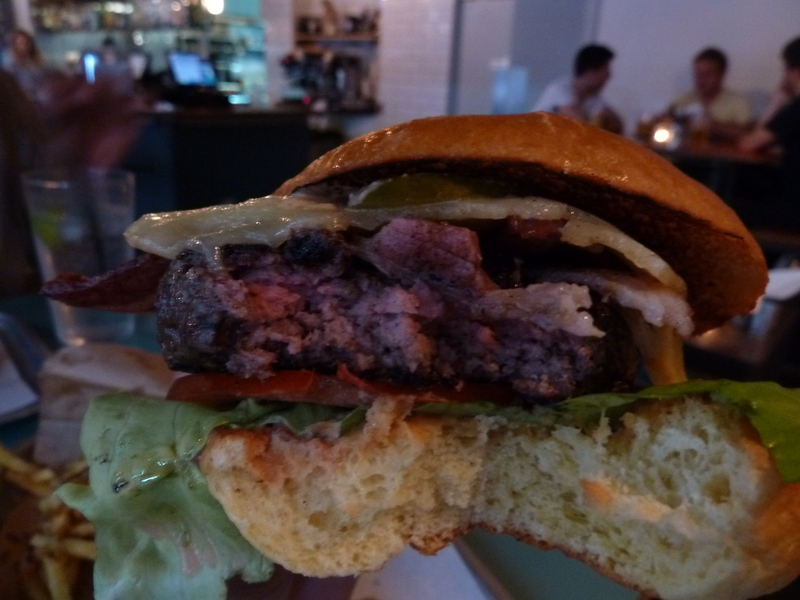 It was one of the juiciest and most flavoursome patties I’d sampled in a while, and it was hard to eat it slowly. In fact, I ended up wolfing down all my sides first so I could give it my full concentration! 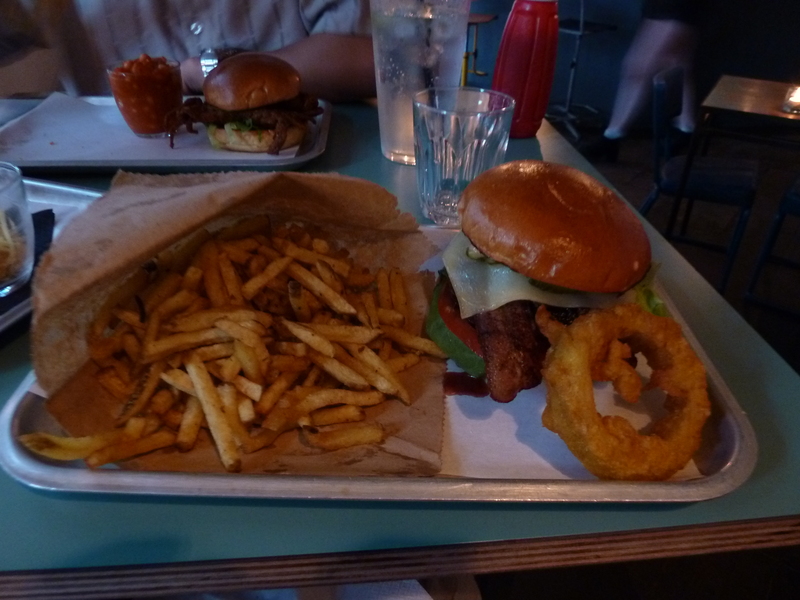 The burgers come served with a large, generously-battered onion ring, and we also got some fries (£3) and some tasty smoky BQQ beans (£3.50). The only underwhelming thing was the snacks/starters. 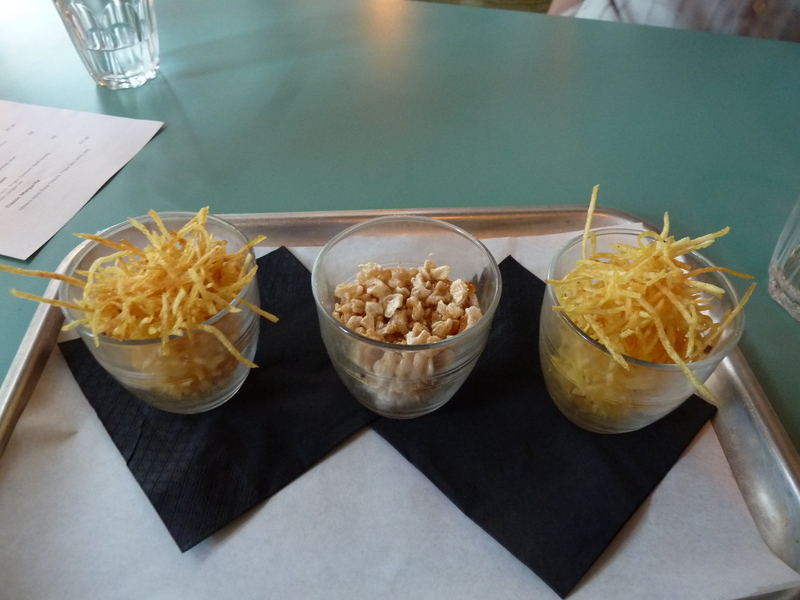 The Pork Skin Popcorn (£1.50) was salty, crunchy and a bit chewy at times, and the Shoes String Fries (£1.50) were essentially very thin crisps that amounted to inhaling salty air. 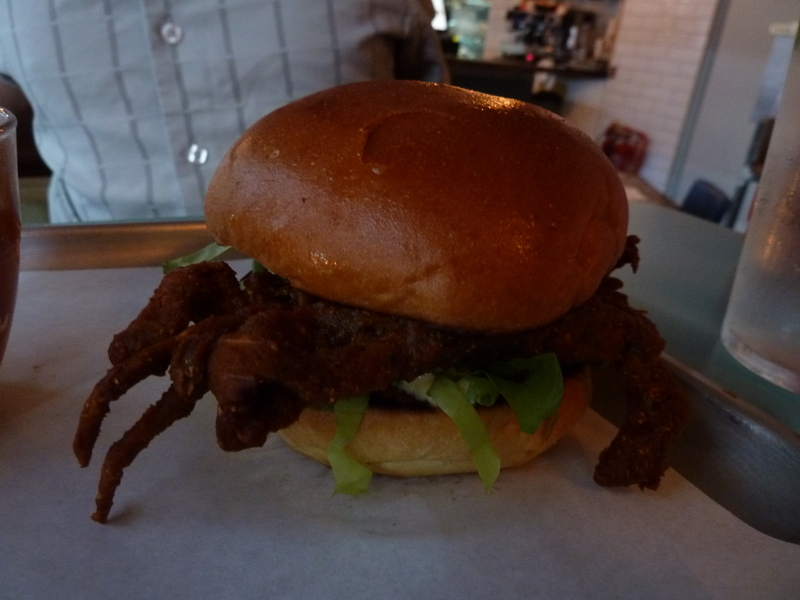 Psychic Burger 4/5 – Mystically good burgers and soft-shell crab burgers.